Prior to the cell phone popularity in the eighties and nineties, the walkie talkies were the best thing that ever existed when it came to sharing information over the medium to short ranges – and are still widely used in military camps, by police officers, and outdoor enthusiasts. 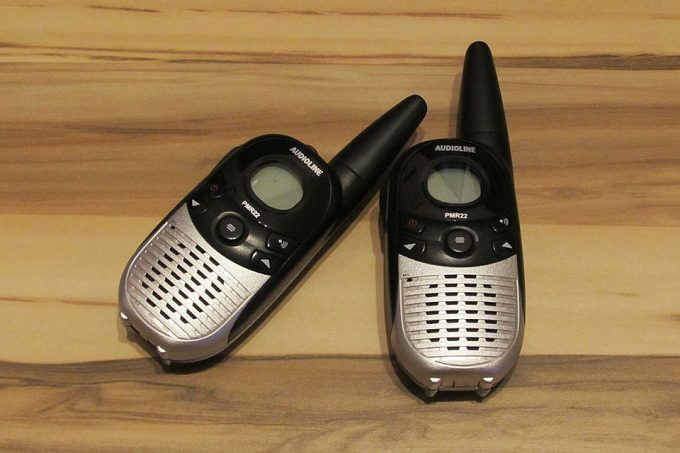 For a hiker or a camper, owning the best walkie talkie is a must if you are to communicate with your mates while on your outdoor escapades. 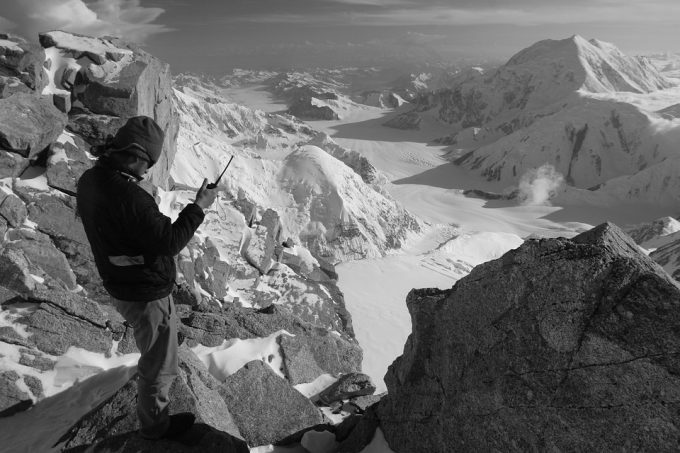 For the outdoors users, two-way radios are the best-preferred choice of communication, particularly where there is a lack of mobile connectivity. 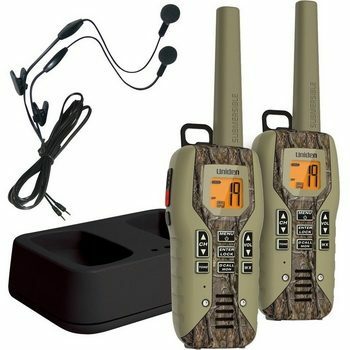 Whether it is fishing on the lake or hiking in the moors, this gadget will enable you to converse with everyone else within a given range and on the same frequency. The walkie talkie can enable you to communicate with someone else in an emergency situation, especially when getting a mobile signal is impossible. With a range of six and twelve kilometers on a basic device, you can walk over long distances without worrying about connection loss. There are walkie talkies that are perfect for kids. Apart from the fact that they are more durable compared to mobile phones, the PMR can be utilized when you are out with your children to keep track of their movements. With the different options available today, it is imperative to do an adequate research and compare the various kinds of waterproof gadgets in outdoor outfitters, online, and in electronic shops. First, you should find out whether you require a waterproof walkie talkie, a water-resistant one, or a waterproof case. After that, consider its applications and the different features that you may need your walkie talkie to have. Below, you are going to read about the important features you should look into before you purchase your new walkie talkies. This information will help you choose the right set for you! While features are vital when buying walkie talkies, you will need to ensure that the gadget you are looking to purchase is not bulky. Although some sizes are meant to ensure you do not misplace the gadget, it can be quite overwhelming to walk around with a big device. 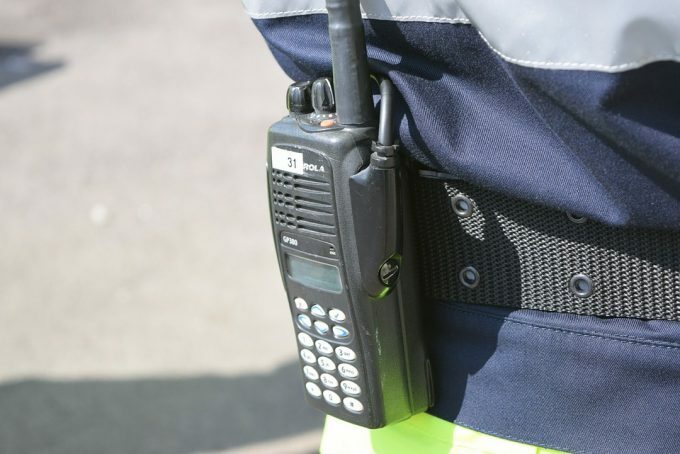 The size of your walkie talkie radio should allow it to fit in the coat of a trouser pocket without difficulty. Make sure the one you want to buy can fit into the palm of your hand. 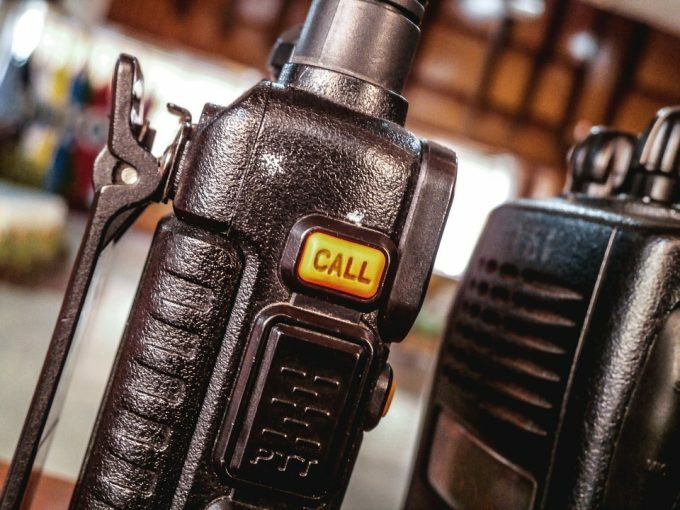 When purchasing a two-way radio, it is important to consider the range of communication. To ensure effective communication between parties, it is imperative to ascertain the distance the gadget can cover. Most walkie talkies available today allow for communication of up to 32 kilometers, and there are some that stretch to further distances. A reliable device should be able to cover a longer distance so it can be effectively used in the case of emergency. Always remember that the actual range available is subject to the conditions of the terrain. Another important consideration is the battery life of the walkie talkie. As a buyer, you should consider the kind of battery used by the gadget and ascertain whether they are rechargeable. If the batteries cannot be recharged, you will have to replace them as they wear out. However, most radios come with rechargeable batteries. These are a preferred choice as they do not cost you additional amounts when the batteries drain. Gadgets that have non-rechargeable ones, are usually fitted with alkaline batteries while the rechargeable kinds, are fitted with nickel cadmium batteries. Additionally, the stated life of a battery is important as you will not want to be trapped outdoors with a dead radio call. The walkie talkies available today range in price, although, they are available in affordable models. The cost of a radio will depend on its features. 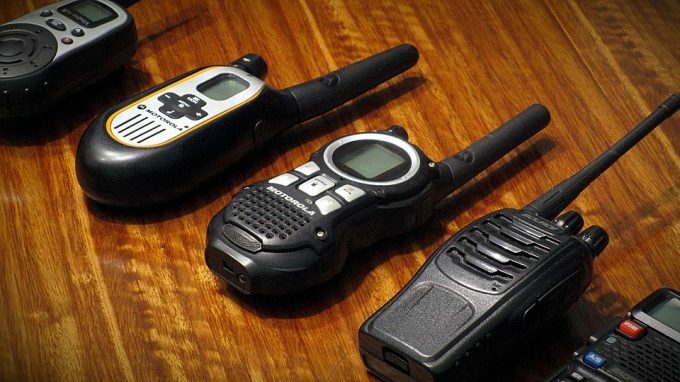 Walkie talkies which are cheaper come with fewer channels and smaller ranges of use. The regular devices are a bit affordable compared to the waterproof ones. If you have a meager budget, you should consider going for the regular model, with a waterproof case, although this does not fully guarantee protection against moisture. In addition to that, it is imperative to invest in gadgets that will not break with ease. When buying a walkie talkie, pay attention to the features that are important in the radio, so you do not overpay for the device. We have now arrived at the section where we will show you several reviews of top rated walkie talkies on the market. Be sure to check out the specifics on each review to decide which set of walkie talkies will work the best for you! Description: Experience Multi-Band exhilaration with the WouXun KG-UV9D Radio. 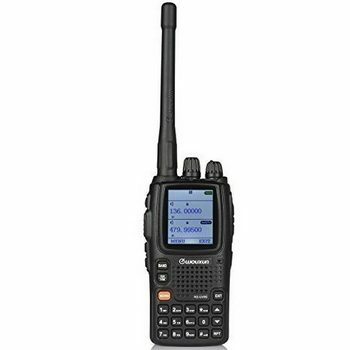 This multi-modulation 2-way radio combines seven band reception, dual band transmission, and multiple features for some multi-functional options you will not get with a typical handheld radio. The WouXun KG-UV9D transmits on 5 watts VHF and 4 watts UHF with various power settings. The gadget features a remarkable 999 programmable network, with DTMF encode/decode, QT/DQT encoding and decoding, and 25 KHz/12.5KHz narrow/wide bandwidth selection. This gadget operates on different levels so as to maximize your experience. It comes with a true dual reception which enables you to receive two signals on different or same bands. Moreover, it is possible for you to transmit on one band and receive on another band at the same time. Its multi-functional operation does not end here. The WouXun KG-UV9D also comes with various scanning capabilities. Channel group scan and the Priority scan is assured. CTCSS/DCS scanning is an additional feature. If you need a scan feature that is exciting, the dual-receive KG-UV9D, scans two bands simultaneously. Of course, we cannot forget its multi-display capability. Initially introduced with a popular KG-UV8D, the huge, color screen is a major feature of this gadget that comes with some significant improvements. With this feature, there is still so much room to display all information required to operate the multi-function device on both bands simultaneously. Additionally, the display is adjustable, with 5 different levels of brightness. This provides you with the opportunity to customize the settings for your viewing comfort and conserve the battery power appropriately. You are definitely in control if you take the KG-UV9D with you! Related: Some users may find that they need an antenna cable. The BTECH PC03 FTDI will work for various brands and can be simply plugged in and used. Description: Keep in contact and stay safe with the Uniden GMR5088-2CKHS Radio. Ideal for hiking, boating, camping, and other outdoor expeditions, these palm-sized gadgets are rugged, lightweight, waterproof, and fully submersible. Yes, you read it right, if dropped in water, these radios are able to float to the surface, which is a great feature as it doesn’t sink to the bottom and allows you to spot it right away and retrieve it. With this device, it is possible to stay in touch with your mates over a range of distances, depending on the terrain, and access information about the latest weather alerts so you can adjust your schedule to the changing forecast and avoid unwanted scenarios and keep yourself and your loved ones safe. These radios contain a Weather Radio Broadcast mode that makes it possible for you to choose a weather channel and listen to the latest alerts from NOAA. 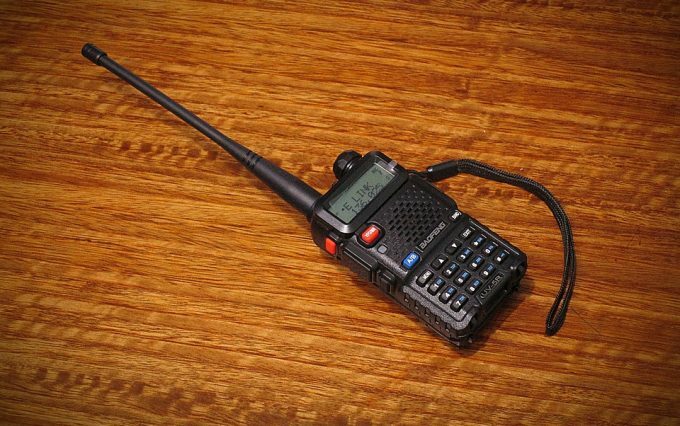 Related: There is a newer model out that also floats and has a charging kit, the Uniden SX377-2CKHSM Radios. While a little more expensive, it has 142 privacy codes and a strobe light. Description: With a rating of IP-54, the Motorola MT352R Radio flaunts it waterproof design making it suitable for protection against the dust and wet weather during rain splashes and snow conditions. Its emergency feature, NOAA weather alert channels, and built-in LED flashlight provide an emergency preparedness communication solution. Boasting of a high-efficiency and powerful class D amplifier, this gadget delivers clear sound quality by minimizing distortion at high volume levels. The Push-To-Talk extra power makes it possible for you to extend the range of transmission by enhancing the power output of the transmitter while saving the life of your battery when power boost is not required. The hands-free communication capability is an excellent feature for this radio. When hiking up a mountain trail, your hand needs to be free so as to brace the rocky path. With its iVOX acting as the speakerphone to allow for hands-free communication, you will be able to traverse the rocky terrain without stopping to respond a call. Designed for all lifestyles, the MT352 provides you with the convenience of powering the battery in various distinct ways. The provided mini-USB charger is conducive for portable purposes and can be used both at home and outdoors. While you are on the road, you can use the mini-USB car charger. A desktop charger is an excellent option when you are stationary, and the mini-USB PC cable can be used to charge from the PC in case there is no power outlet. If these options are not available, you can simply use the alkaline batteries, and you are ready to go! The VibraCall vibration ringer is useful for situations where sound can be intrusive. The vibration feature is also useful when noise from an event would drown out the ringtone from your gadget. This and many other features make the MT352 a suitable gadget for your outdoor escapades. Related: While a 2 pack of radios can be great, some people need more in a set. 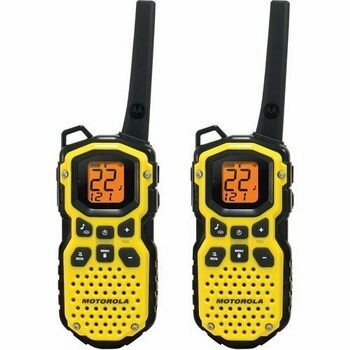 The Ansoko 888S Walkie Talkies is a pack of 4 radios that has 16 preset channels and are very durable. Description: The Cobra HH450 Handheld Radio is an exciting and unique all-terrain-radio for a multipurpose and year round use. 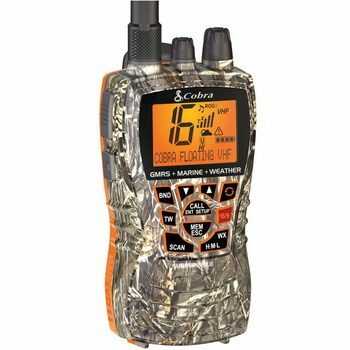 The Cobra HH450 Compact Floating unit has a great VHF radio ruggedness and a reliable and quality outside cage for durability. Additionally, the gadget has a Cobra’s Rewind-Say-Again component and a GMRS station Dual-Band functionality. It also contains other features such as a durable Lithium Ion Polymer battery, a rapid charger, and S.A.M.E. Weather Alert filtering. The Cobra HH450 VHF/GMRS Floating radio is a quality VHF radio and a high power VHF/GMRS radio. The General Mobile Radio Service (GMRS) is the current standard in consumer grade 2-way communications. It incorporates other core features such as Weather Alert, NOAA weather radio, noise-cancelling microphone, and a JIs7/IPX7 rated submersible. Users like that the antenna is small and it floats in the water. They also like the accessories that it comes with and that the charger is fast charging. Related: For those who enjoy the outdoors, having a GPS can be helpful. The Stratux Vk-162 Remote Mount USB GPS is a plug and play that is supported by Stratux. It is waterproof and dust tight. 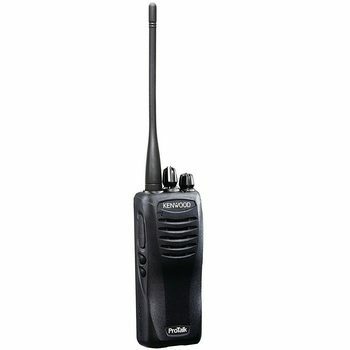 Description: The Kenwood TK3402 Walkie Talkie comes with a compact design. The rounded contours of TK3402 offer a superbly comfortable hold, while its non-slip elastomer knob with enhanced torque characteristics and huge PTT button is designed to give you a positive tactile response when operating the gadget. Designed to withstand rough treatment, the ProTalk has passed the arduous P54/55 water and dust intrusion tests –with and without its KMC-45 speaker microphone. The gadget meets or surpasses eleven stringent MIL-STD 810 environmental standards. 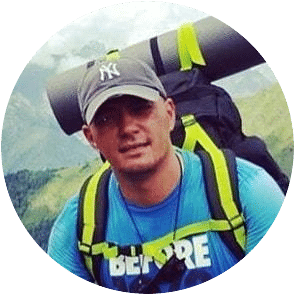 Success in outdoor expeditions depends on the communication, and the power output is just but one factor determining the clarity of the audio. As a quality gadget, Kenwood TK3402 has drawn on extensive expertise to ensure that ProTalk’s sound quality is crisper and clearer, and loud as well – thanks to its 36mm-diameter speaker that provides up to one-watt audio output. 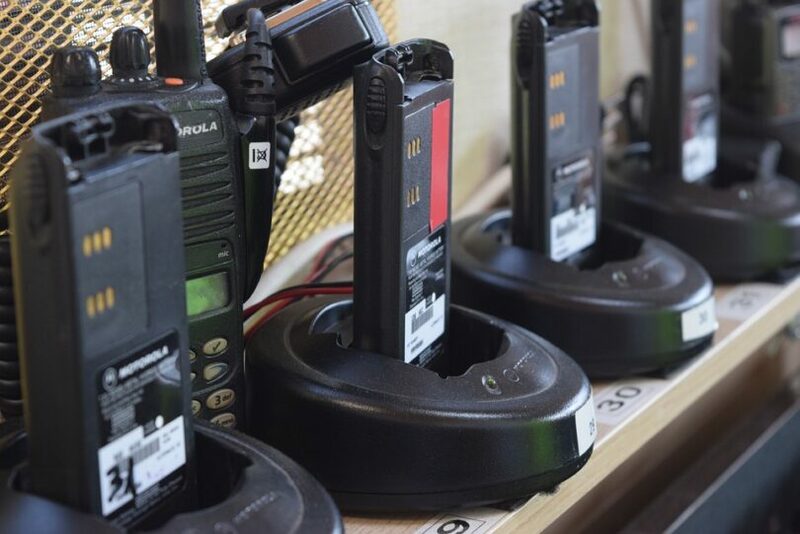 A dealer function only, the wireless cloning feature simplifies the setting of multiple Protalk radios for similar functions, getting rid of the need to customize every radio. With the TK3402, you can program the ProTalk to any QT/DQT codes and pre-stored frequencies, hence providing you with an assurance of compatibility with other brands. The VHF sixteen-channel model has twenty-seven pre-stored frequencies while UHF sixteen-channel model has ninety. Both models have 168 DQT codes and 39 QT tones. The gadget is fitted with two programmable function keys that can be programmed for the functions mentioned above, allowing customization to serve your specific needs. The channels of the radio can be programmed independently for a scrambler, VOX, and compander functions. As a result, it is possible for you to turn a function on or off by altering channels that are on the same frequency. The built-in voice inversion scrambler offers the necessary protection against eavesdropping. There is a myriad of inversion frequencies ranging from 16 to 2097 which can be selected and allocated to any channel. Related: Kenwood makes other accessories that work with this radio. The Kenwood KMC-45D Speaker Microphone allows you to hear and speak to others, and it gives great audio output. The microphone is heavy duty and the ear phone jack fits perfectly. Description: The Motorola MS350R Radio is, by all means, a good weather gadget. This ultra-durable, waterproof and high-performance radio is the right choice for the extreme outdoors. It utilizes both the General Mobile Radio Service and the Family Radio Service frequencies, giving a combination of more channels. With twenty-two channels, a range of up to thirty-five miles, and PTT Power Boost Feature, it is built to provide you with maximum functionality. The radio also boasts of a sleek, modern look of its own, greatly contending other gadgets in term of ergonomics. Over a 35 miles range, you can talk to others, get 11 weather channels and more. The bright yellow color makes it easy to locate, and it includes a flashlight. It can handle water submersion for over 1 minute, and has a 9 hour battery life! Users like this product because it is durable and offers the iVox hands free communication! Related: The Motorola 1471 Battery Upgrade Kit upgrade is a kit that includes a battery and other items to keep your battery charge for use. 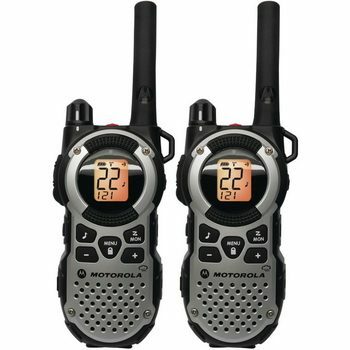 Affordable, this product can fit right along with your walkie talkies in your backpack for easy use. 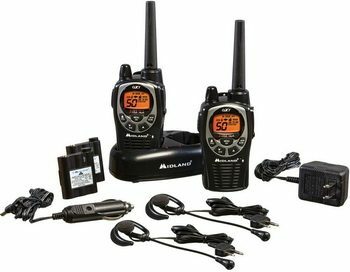 Description: The Midland GXT1000VP4 Two-Way Radio is a gadget that features five-watt power with which you are able to get 36 miles of range during optimal conditions. In urban settings, it can get up to two miles of range as a result of the obstacles from buildings. This fully-featured device has all the features you would expect from your ideal radio. It comes with a desktop charger, headsets and a pair of microphones, rechargeable batteries, and AC wall adapters and DC vehicle. Designed with all your outdoor needs in mind, the Midland features a “Mossy Oak” camouflage to help you blend well with nature. It is water resistant and durable and is designed to withstand various weather conditions. Users like the entire kit with accessories that are simple to use and always at the ready. They also like the NOAA weather channels and the fact that this product works over a wide range of miles. Related: If you find yourself in need of a head set, the Midland AVPH3 Transparent Security Headsets has push to talk options, and it works with all Midland products! When purchasing your walkie talkie for outdoor expeditions, it is imperative to select one that will suit most of your needs, if not all. Look for a radio that comes with the features you desire and one that is within your budget. Consider the kind of range required, the size you want, floating capabilities, and the battery options available. If you are in need of a true moisture protection, ensure you buy a waterproof walkie talkie as opposed to a water-resistant one. The waterproof gadget can be found in different price ranges, all of which depend on the features they contain. If you are on a budget, you should consider acquiring a regular or standard radio and a separate waterproof case. If you are a true outdoor enthusiast, a waterproof device should be another piece of your backpacking gear. Communication is important when you are outdoors; therefore, it is essential to invest on a quality gadget rather than one that is less durable. Did you find this article informative? You can post your views and opinions about walkie talkies in our comment section. We will be glad to hear from you. Hiking Gloves: Keeping Your Hands Away From the Cold!